Who doesn’t love walking down the red carpet? Your child can play the role of movie director, editor, producer, and maybe even star in his very own film specially created just for mom. Set up a red carpet ready event in the family or living room, make a special popcorn treat, and craft a cool over-sized ticket for admission into this glamorous and creative Mother’s Day event! Seasonings such as cinnamon, salt, pepper, lemon pepper, and more - whatever you think mom may like! Help your child understand the art and science behind movie making. This includes looking for different angles, perspective, storytelling, and light/shadow for all of his shots. Have a discussion about these topics and try a warm up filming exercise, by taking shots of various things around the house that he may find interesting. 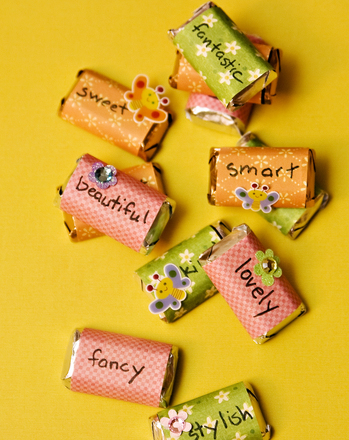 For the real deal, have your child choose a theme such as "Mom’s Favorite Things" or "This is Mom’s Life." Brainstorm who will be in the film and what order the action will take place (scene order). Film the movie. You can help your child film the shots if he would like. Transfer the movie to a DVD and give it a special title so it's ready for showtime! There's no need to do any fancy editing or cutting or anything like that, if you don't want to. Mix in approximately 2 tablespoons of butter and coat the popcorn thoroughly. Add in seasoning spices, or set up a ‘spice bar’ for mom to choose from so that she can make a variety of different flavored popcorn. Cut the cardboard into a large rectangle shape (a ticket shape). You can make as many tickets as you like, but you need to have at least one for the guest of honor. Paint your piece of cardboard using any colors you like, or select mom’s favorite. 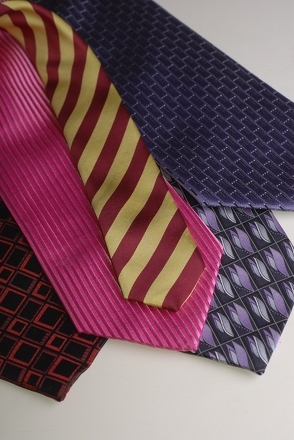 Set your big ticket aside to dry. 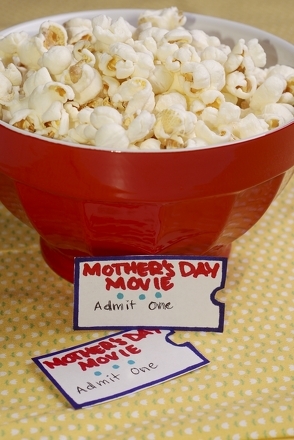 Once your ticket is dry, write the name of the movie, the time that the ‘show’ will begin, and a special message to mom (such as "I love you!" Or "In honor of the best mom!") onto the painted ticket with dark markers. Present mom with the ticket beforehand so that she knows when the show will begin. Use red fabric, towels, or a bed sheet to create a red carpet for mom to walk down. Serve her the popcorn treat, or ask her what type of seasonings she prefers. Dim the lights and start the premiere! Once you're done screening your movie made just for mom, you can screen another movie for the whole family. Perhaps one of mom's favorites! 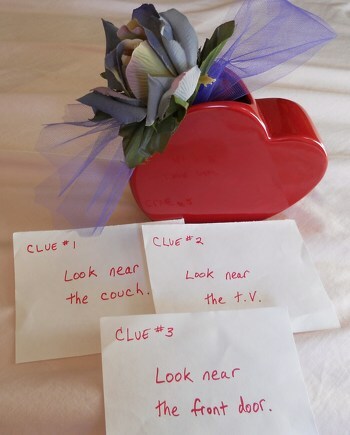 Your mother is a treasure, so celebrate her with a fun Motherâs Day Treasure Hunt.